In the world of creative entrepreneurs and small business owners, questions about client gifting run rampant. As a small business owner who dreams up custom gift designs for a living, I'm here to help answer some of these questions! What in the world do I include in my client gifts? Can my business even afford gifts? At what point in my workflow do I send them out? Do I outsource or do I make them myself? I’m one of those corporate world people who snapped and quit their successful corporate job. 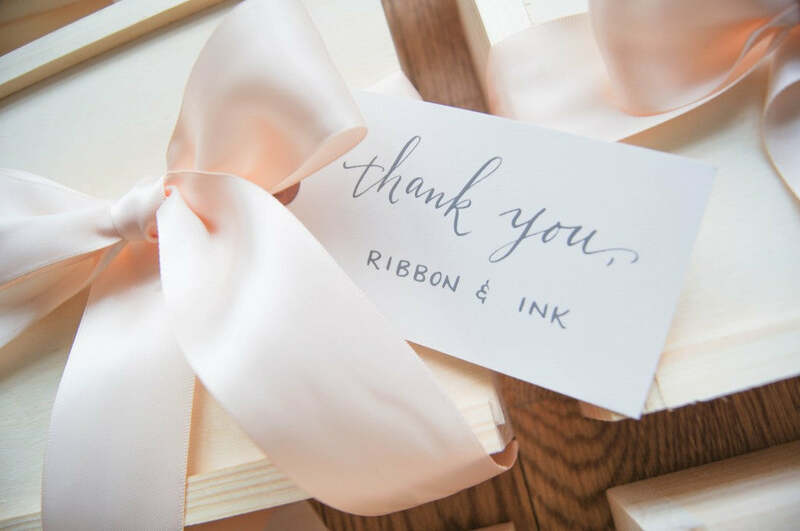 Ever since having issues with welcome gifting for my own 2012 wedding, I had the idea for my business in the back of my mind and once I quit, I immediately hit the ground running! 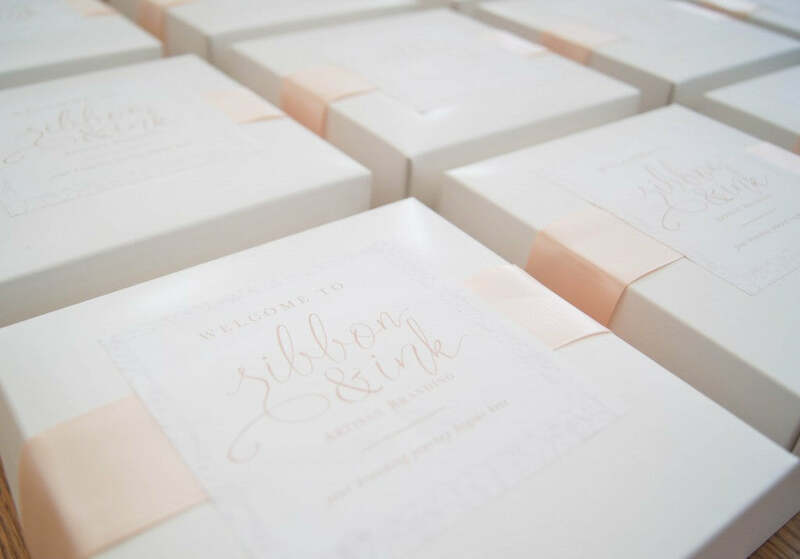 My plan was to create a website that would allow brides and planners to create their own out-of-town gifts for wedding guests. Plans are great but sometimes you have to dream bigger. 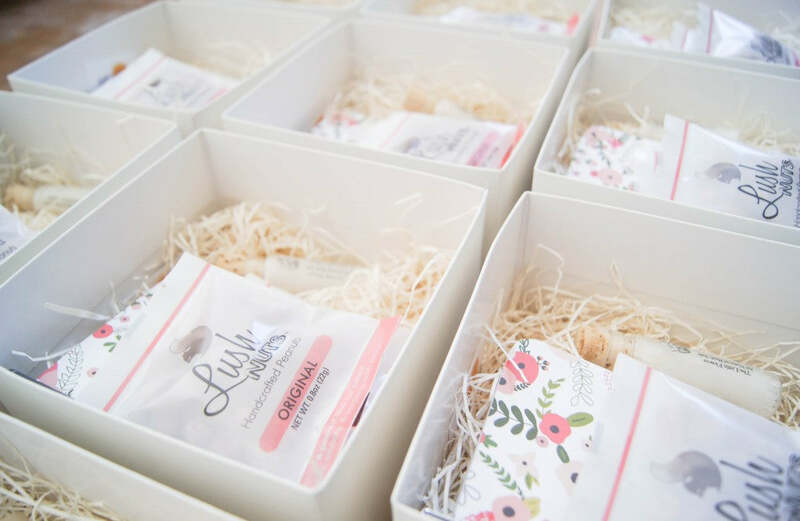 What I didn’t expect was the huge amount of requests I began getting for custom client gifting services for business owners and corporations. For every one wedding welcome gift inquiry I'd receive, I'd get at least 10-15 inquiries for client gifts. The market was speaking to me (loudly) and I, of course, decided to listen. 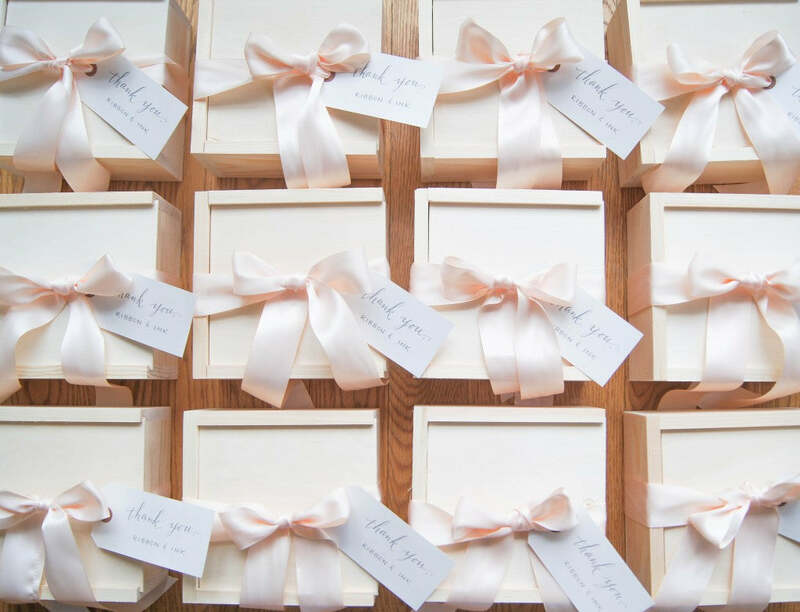 Not convinced you should gift your clients? Trust me, I understand. In my previous corporate life, I HATED client gifting. My clients expected it and all but TOLD ME what they wanted me to gift them and when it wasn’t nice enough of luxe enough, well, I heard about it. It left such a sour taste in my mouth. I hear similar things in the creative world such as “People only do client gifts so they can get more Instagram followers” or “throwing a bunch of items in a box doesn’t seem like it does anything for my brand”. I’m here to say that done systematically with thought and creativity, client gifting can enhance your client experience and take it to the next level! Your clients chose you for a reason. They saw something in your branding or in your portfolio and felt drawn to you. With so much competition in the industry and clients being inundated with perfect images via social media, blogs and print publications, it’s harder than ever for clients to make decisions about vendors. But once they commit, you’re on THEIR team and they want to connect with YOU. They want to know more about your business and how you operate. If given the chance to come hang out in your studio for a day and see how things work, they just might. They want to rely on your expertise along the way. And more than ever, they want to feel a sense of pride for working with you. Gifting really CAN be a great way for clients to further connect with you and your brand. It isn’t just about a box with some random items thrown in it. It can be much more than that! Perhaps a business considers themselves a luxury brand and they're successful in attracting the ideal client. That's great but to avoid buyer's remorse, they wish to send an on-brand gift to reaffirm the luxe feel of their brand. In the beginning, the client is typically the one answering most of the questions about themselves so the business owner can best serve them. But a good business relationship is a two-way street. Some clients of mine wish to allow their clients to get to know them on a more personal level by gifting them with items that have special meaning to THEM. In order to try and differentiate themselves in the market, many creative entrepreneurs I serve hope to "up their game" and create a memorable client experience. This can mean sending an on boarding gift as soon as clients sign the contract or even a lovely 'thank you' gift at the end of the entire project. Many of my clients are launching new brands or even rebranding completely. This can be a great time to begin a new gifting program to show off the new color palette and branding elements as well as generating a buzz! Describe your brand in 3 words and make sure that each and every element of the gift falls in line with these words. For example, if your brand is "luxe", you may not want a rustic looking gift. If your brand is down-to-earth and earthy, you may not want to send a showy bottle of champage. It needs to make sense and elicit the same feelings that your brand does. Choose a gifting budget and increase your pricing accordingly. It’s no different than updating your website or ordering letterpress business cards or deciding to add a higher-end package to your offering. These are all business expenses that you take into consideration when calculating your pricing and gifting is no different. Create the same gift each time. If you’re at Home Goods or Target each and every time you book a client hunting for just the right thing, you’re spending time and eating away at efficiencies and profit. And let’s face it, I don’t know anyone who can go to Target and come out with JUST what they intended to shop for! So, your bank account will thank you. By the way, if you offer different packages in your business, it’s okay to create different gifting levels. For example, for wedding planners, full service clients get the deluxe gift and then a simplified version is created for partial or month-of clients. This keeps it uniform and fair across the board. Include visual elements to tie in your branding that the client will recognize such as color palette, logo, and other accents. For example, if a key is used in your logo, use a key as an accent to tie onto the gift. Or, if your logo has a succulent, pop a succulent into each gift box. Doing this keeps things cohesive and shows thought and creativity. Whether you outsource or DIY, make gifting part of your workflow. For example, whatever checklist you use to determine the stage the client is in, add gifting to the list. For example: Inquiry --> Proposal --> Contract -->Welcome Gift, etc. Less really can be more. You don’t need a gazillion items in a basket to impress a client. 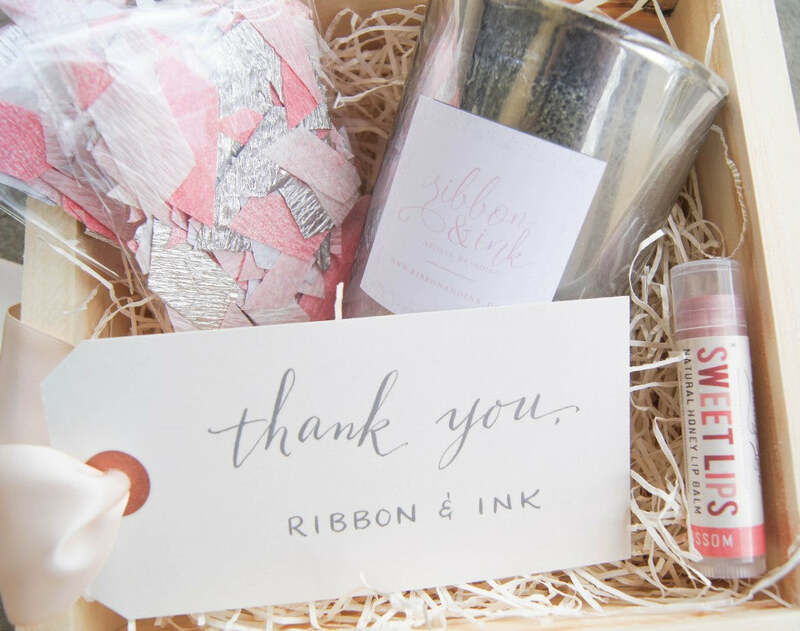 A small box with thoughtful, on-brand elements can have a bigger impact and create a deeper connection with your brand than random items without any thought. Ask yourself why each and every element of the gift is being chosen. If it doesn’t make sense, it doesn’t need to be there. Unless your gift is following a very distinct theme (i.e. "breakfast in bed" or "date night in a box"), finding a nice balance of items is key when designing gifts. For example, steer clear of ALL food or ALL drinks. Mix it up! Choose one or two edibles, a beverage, and one or two functional items. Also, gone are the days of focusing solely on the bride. Guys like to be cared for too. Mixing girly items with more masculine items is great way to deepen your connection with BOTH of your clients.